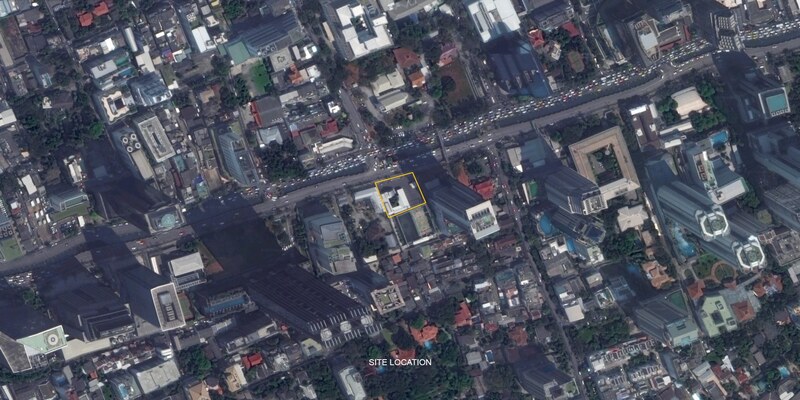 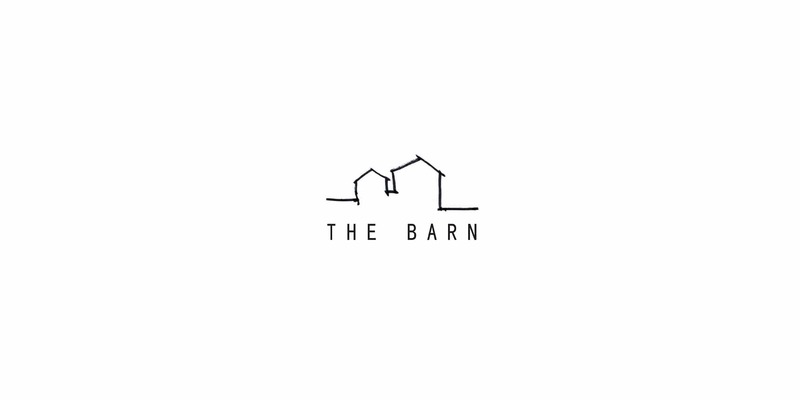 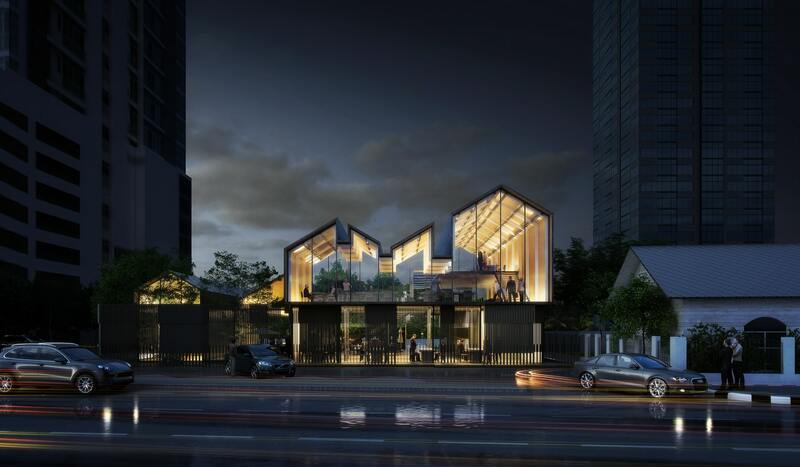 The BARN is a new social and dining project located on Sathorn road. 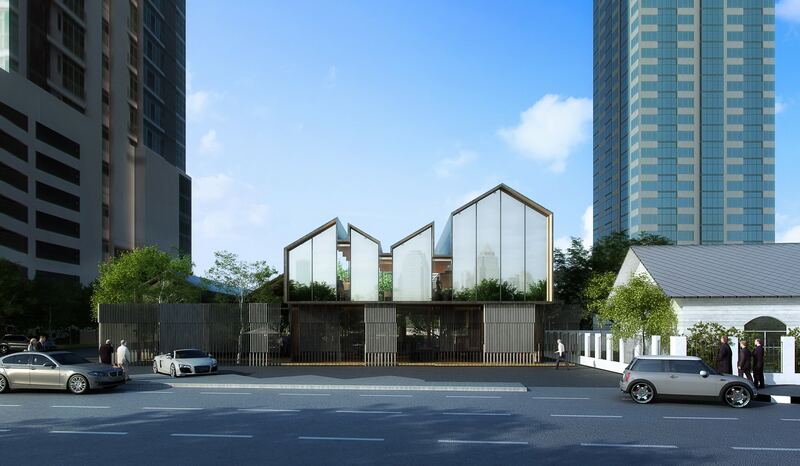 Within the mix of high-rise offices and traditional houses, THE BARN stands out as a unique space for the Sathorn community. 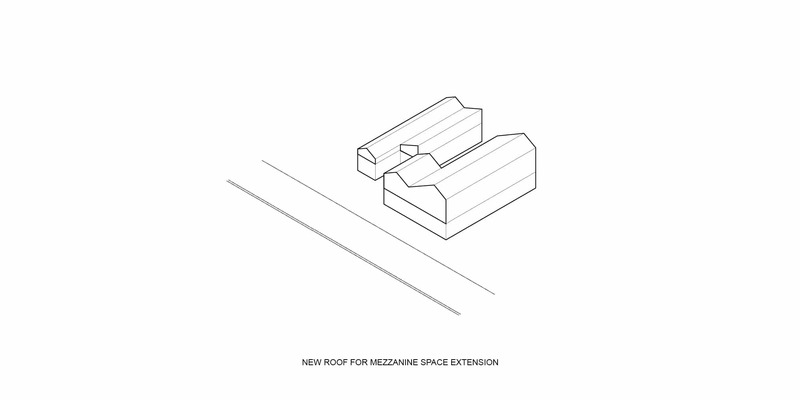 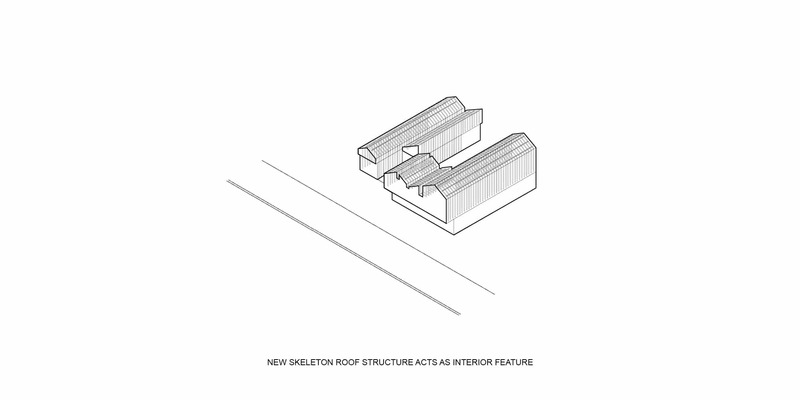 The renovation introduces barn-inspired forms to frame each space and offer various ceiling heights for different retail or dining functions. 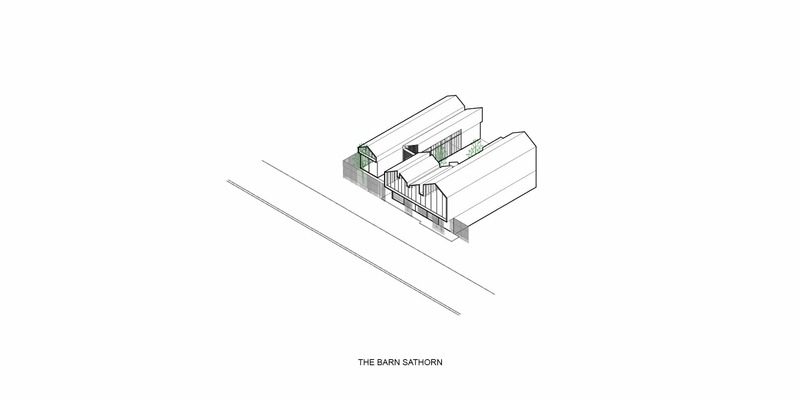 During the day, the reflective glass façade of THE BARN mirrors the surrounding buildings to act as a subtle collective space within the community. 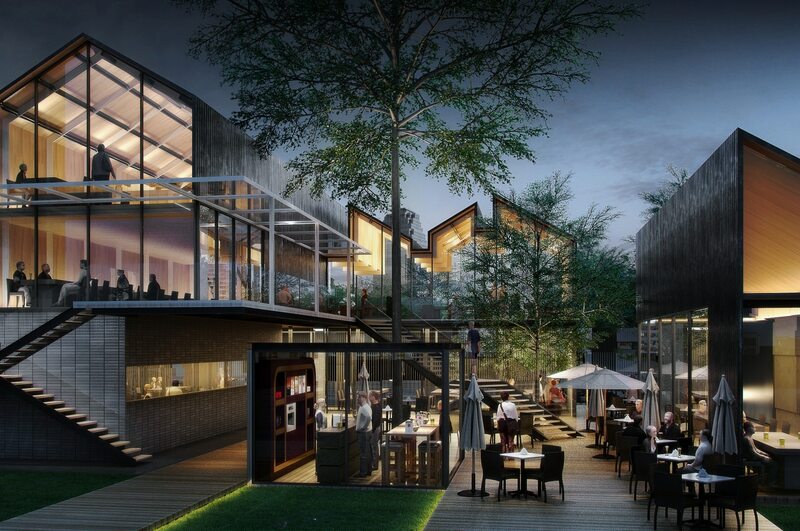 During nighttime, the façade becomes transparent to reveal the lively activities within, changing the mood and character of the project. 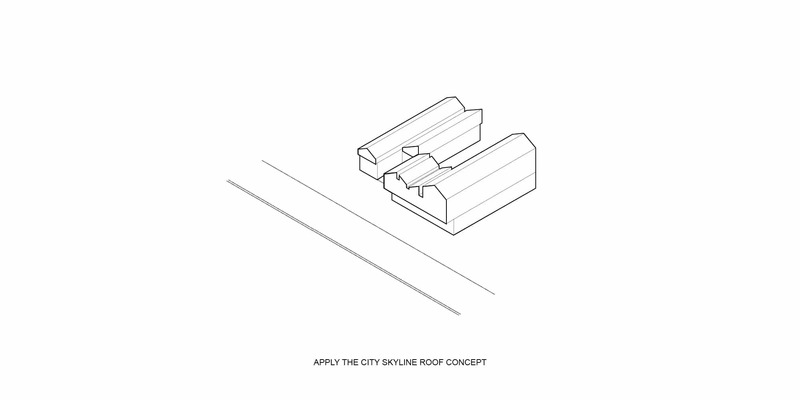 This material, also found in the surrounding high rises, adds to the project that blends in yet stands unique in the streetscape. 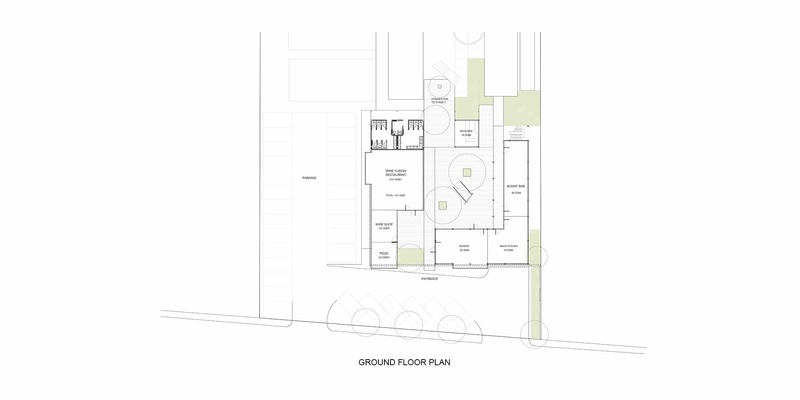 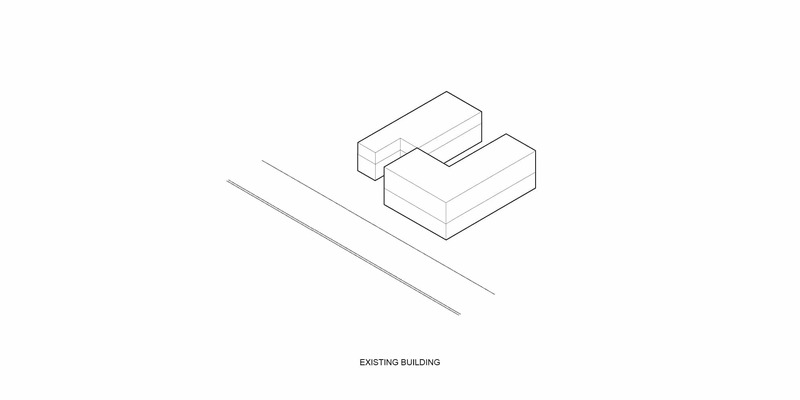 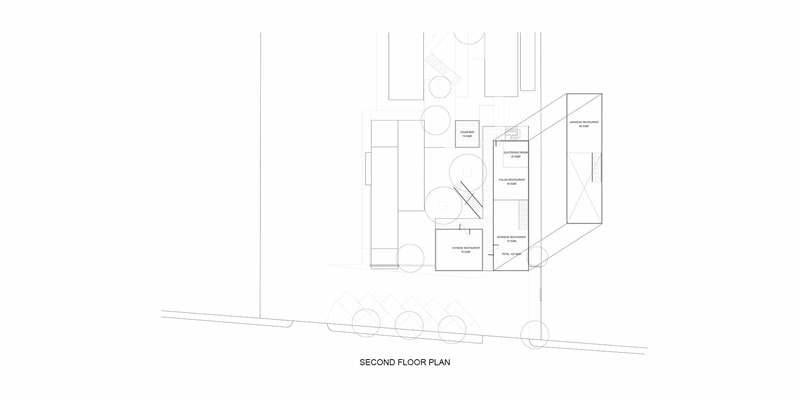 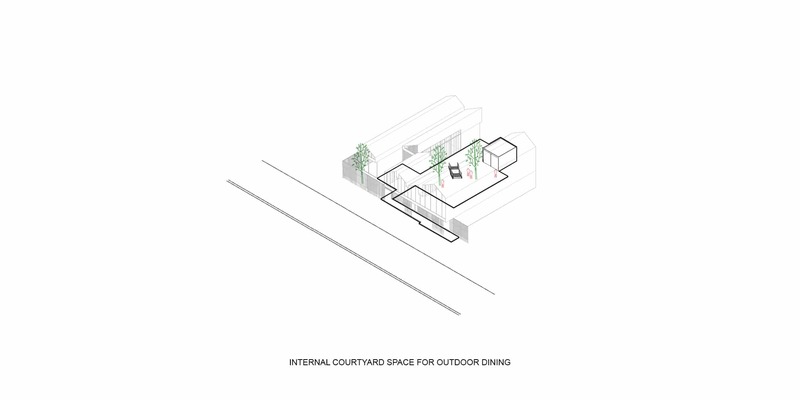 The layering of masses from the main road into the shared courtyards provide outdoor public spaces within, making THE BARN a new social collective in the dense business district of Sathorn.